Holiday Season is here—No excuse to slack! Do you know the #1 most important lax training drill? If you aren’t playing wall ball, you are missing out BIG TIME. The best lax players in the game, like Paul Rabil, Kyle Harrison, and Rob Pannell play wall ball EVERYDAY. Just 10 minutes a day will make you an elite passer and catcher. The only thing is, large brick walls to pass on aren’t always available (insert sad face). That’s why we recommend a lacrosse rebounder. They are super easy to setup in your backyard and are super portable. These mid-tier lacrosse bounce backs will get the job done. They definitely aren’t has high of quality as the best lacrosse rebounders, but you can answer YES to 4 of the 5 questions above. 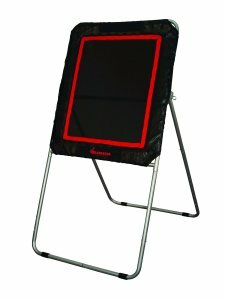 Alright so the Gladiator Lacrosse Rebounder seems to be the best lacrosse rebounder you can get at the lowest cost. Again, just like Predator Sports, we aren’t very familiar with Gladiator Lacrosse. But, you’ll notice that the frame is made of steel, the lacrosse throwback is fully adjustable and foldable, and has a nice big 3 X 4 lax wall. And lastly, all of the reviews across the Internet are positive. If you do decide to buy this lacrosse bounce back, please do come back and leave a comment!